Ven. 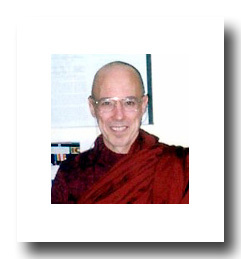 Bhikkhu Bodhi’s (Bhikkhu Bodhi Interview) popular 10-lecture series an "Introduction to Buddhism" has been distributed on cassette tapes for over 20 years. The program contains detailed lectures on the core, original teachings of the Buddha... In 1981 while residing at the Washington Buddhist Vihara, Bhante Gunaratana, then the President of the Buddhist Vihara Society, suggested he record the lectures so that the Vihara could distribute them as a set of cassette tapes. Today, the lectures are considered "public domain" for anyone to copy and distribute freely. 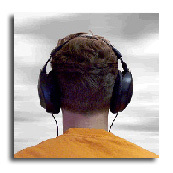 We recommend that you first listen to them in their proper sequence... Talks are MP3 files - Free Download. Amazon.com - Reader Review: This book really took me to the next level of my understanding of the Buddhist eightfold path. Which is: Right View (understanding), Right Intention (Thought), Right Speech, Right Action, Right Livelihood, Right Effort, Right Mindfulness, Right Concentration. It really explains what Buddhists mean by each of these stages based on the original language the Buddhist scriptures were written in. I also like the authors translation of the first two into view and intention, a lot of times they are translated as understanding and thought. These words brought me to a much better understanding. The author also touched on the wisdom of dispensing with the false ego and understanding how the five aggregates are what we really are feelings, perceptions, consciousness, material form, and mind formations. This book will probably be a little advanced for first time readers of Buddhist philosophy but if you have an understanding of the 4 noble truths and have read the Dhammapada and are ready for the next level, you can't get better than this condensed wisdom in 122 pages. I am different now from having read it. Bhikkhu Bodhi's edition of Ven. Nanamoli's translation of the Majjhima Nikaya. Amazon.com Reader Review: Hard work, diligent effort, and a commitment to share the Dharma, all combine into this one book. This is an extensive piece of work. 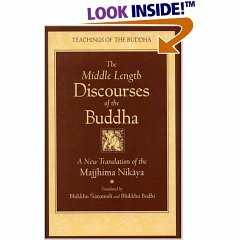 Bhikkhu Bodhi has compiled the Middle Length Discourses of the Buddha into a fine reference guide for us all to enjoy. The discourses, which are talks that the Buddha gave, were chanted for over a hundred years after the passing of the Buddha and were eventually written down. They were written in the same form as the chants, which offer many repetitions, which like any song/chant, makes it easier to remember. I would not suggest this to be the first book on Buddhism or the Buddha's teachings for most people unless you are a scholarly type. There are numerous wonderful books available that would benefit most people before delving into such a comprehensive book. That being said, once you have done some reading and want to explore the teachings of the Buddha in more depth, this is the perfect book. For me, I feel this is as close to the original teachings of the Buddha as we can get, now some 2,500+ years later. I find myself returning to this book often. Reading a discourse, and then contemplating and seeing how it applies in my life, brings much happiness and joy. The 'Majjhima Nikaya' is a collection of medium length discourses made up of one hundred and fifty two suttas in three books known as pannasa. The first book, Mulapannasa, deals with the first fifty suttas in five vaggas, the second book, Majjhimapannasa consists of the second fifty suttas in five vaggas too; and the last fifty two suttas are dealt with in five vaggas of the third book, Uparipannasa, which means more than fifty. In this discourse, given at Savatthi, the Buddha made the bold statement that the four Categories of Ariyas, namely, the Stream-winner, the Once-returner, the Non-returner and the Arahat exist only in his Teaching and not in any other. This discourse, given at Savatthi, is concerned with tha choice of a suitable place for a bhikkhu.A bhikkhu has to depend on a forest glade or a village, or a town or an individual for his residence and support.If he finds out any particular place is not satisfactory for his spiritual development or for material support, he should abandon that place at once. This discourse was given by the Buddha at Savatthi to explain two kinds of thinking: wholesome and unwholesome. Bhikkhus should practise to see the advantages of engaging in wholesome thoughts and the dangers of unwholesome thoughts. This sutta recounts the dialogue between the Venerable Siriputta and the Venerable Punna at Savatthi on the seven stages of purity, such as purity of sila, purity of mind, purity of view etc., that must be passed before attainment to Nibbana. This discourse was givenbythe Buddha at Savatthi in connection with the Brahmin Pingalakoccha who asked the Buddha whether all the six teachers claiming to be Buddhas were really enlightened. The Buddha explained that the Brahmacariya practice taught by a Buddha led to Arahatship, not just to the achievement of gain and fame, or supernormal powers. The Venerable Anuruddha, the Venerable Nandiya and the Venerable Kimila were staying in the Gosinga Sal tree woodland. The Buddha visited them and praised them on their way of living, practising the holy life with perfect harmony and concord amongst themselves, thus forming an adornment to the lovely woodland park. This discourse was given by the Buddha toVaccha gotta at Rajagaha. On his visit to the Buddha after a long interval, Vacchagotta no longer troubled the Buddha with his speculations about atta, loka etc. ; in stead, he requested to be taught on good and bad deeds (Kusalakusalam Kammam) in brief. The Buddha explained to him the dhamma on good and bad deeds in brief as well as in detail. Vacchagotta became a disciple of the Buddha and received admission into the Order. Then practising the dhamms as instructed, he ultimately attained Arahatship, realizing Nibbana. The problems of atta, loka etc., no longer obsessed him. This important discourse was given by the Buddha in the Sukarakhata cave near Rajagaha, to Dighanakha, the wandering ascetic, a nephew of the Venera ble Sariputta, in order to remove his wrong views of annihilation. As the Buddha taught him the dhamma on contemplation of the body and contemplation of sensation (sukha, dukkha, adukkhamasukha), his uncle the Venerable Sariputta was standing behind the Buddha, fanning him. It was only fifteen days ago that the Venerable Sariputta had been admitted into the Order by the Buddha. While following the progress of the discourse, as though sharing the food prepared for another, the Venerable Sariputta advanced rapidly from the stage of a Sotapanna which he had already reached, and attained the perfect state of Arahatship with the fourfold Analytical Knowledge (Patisambhida Nana). At the end of the discourse his nephew, the wandering ascetic Dighanakha, became a Sotapanna. In this discourse the Buddha taught the bhikkhus the Four Noble Truths as he had done at the time of giving the discourse on the Turning of the Wheel of Dhamma at Isipatana in Baranasi. He then urged the bhikkhus to seek guidance from the two theras, the Venerable Sariputta and the Venerable Maha Moggallana,likening the Venereble Sariputta to a mother and the Venerable Maha Moggallana to a foster mother.The Venerable Sariputta could analyse and explain the Four Noble Truths in detail and lead them to the stage of the first Path and Fruition. The Venerable Maha Moggallana could then lead them on till the highest Path and Fruition, the Arahatship, was achieved. This discourse was given to the Venerable Ananda by the Buddha showing the difference between the control of senses proctised by an Arahat and that practised by one still under training. The buddha explained that feeling of liking, disliking or indifference that arise from conditioned phenomena could be soon eliminated by the practice of Vipassana Meditation.